Below are Box Office Collection report of bollywood film Phillauri With his review, budget and total box office and worldwide collection status. Phillauri movie lead star cast is Anushka Sharma, Diljit Dosanjh. 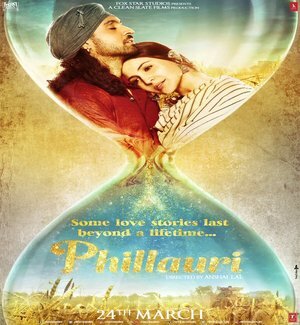 Phillauri is an indian drama, Romantic Film of 2017, directed by Anshai Lal & produced by Anushka Sharma, Karnesh Sharma & Fox Star Studios. Anushka Sharma’s production is doing its best business in north India, mainly Punjab, which has contributed 52 percent the total Phillauri collections. Anushka Sharma & Diljit Dosanjh starrer Phillauri is staying steady at box office. Though the film witnessed a slight dip at the start of the week on Monday, Strong word of mouth is helping it maintain the pace. The movie has managed to collect Rs 19.22 crore in 5 days. (2) Totally bakwaas movie.. Third class direction as there is no connection in the story itself. Waste of time and money.